I love Korean Dramas. You need to know that before taking my advice on which ones to watch. If you’re completely new to the world of Korean dramas – then my reviews may be misleading. I’m comparing them to other K-dramas, rather then other TV series in general. 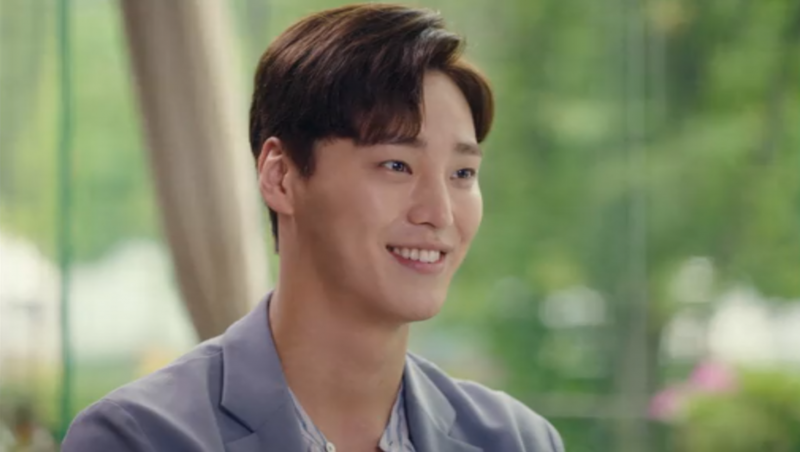 If you’ve recently dipped your toes into the world of K-dramas and enjoyed what you saw – then hopefully you’ll find my incoming onslaught of K-drama reviews helpful. In saying that, if you’ve never watched a Korean drama and want to know where to start…please let me recommend Goblin: The Great and Lonely God or My Love From the Star as a starting point. You’re welcome. My love of Korean dramas started soon after my first encounter with K-pop in a Bubble Tea house when I was about 16. I began with Palace (Princess Hours), followed by Coffee Prince and soon after, Boys Over Flowers. I loved them all. So different to anything I’d ever experienced. A new kind of humour, predictable (in an awesome way) plots and characters I always had strong emotions attached to. I loved the way they used the same songs over and over to train my emotions. I’d start tearing up even before I knew what the sad events unfolding were, because the ‘sad track’ had started to play. I’d be on top of the world as the characters would finally kiss after 12 episodes and then have my heart shattered as the love interest’s memories vanished in yet another car accident. I was and (13-ish years on) am, still hooked. Netflix is opening up the world of K-dramas to a whole new audience (gone are the days of searching for hours to find a decent streaming site) and are adding exciting new series’ all the time as well as some golden oldies from the past. It’s a new era, and I’m excited to see it come. Let’s get into the topic at hand: What’s Wrong With Secretary Kim ? First off, let me assure you – I will do my best to keep all these reviews completely spoiler free. Part of the joy of K-dramas is all of the crazy plot-twists and drama that unfolds. I won’t ruin it for you. I loved the premise of What’s Wrong With Secretary Kim? . After 9 years of loyal service working as the secretary of Lee Young-joon (President and Vice Chairman of Yumyeong Group), Kim Mi-so suddenly announces that she’s resigning. The perfect and unflappable Lee Young-joon finds himself a little more ‘put out’ by her sudden resignation than he would have imagined and finds himself doing whatever it takes to change her mind. I loved the fresh take on the usual K-drama tropes. 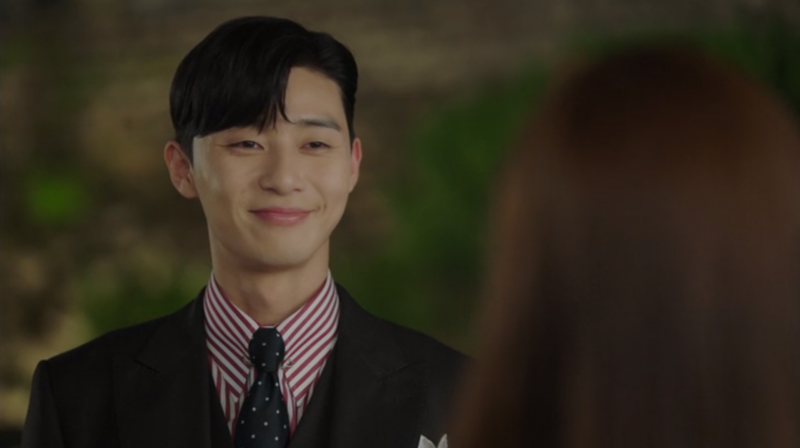 Lee Young-joon (Park Seo-joon) is rich and full of himself, but not in a mean way. The guy is pretty amazing. He’s not snobbish or rude – he’s just very confident in his abilities…possibly to the point of having some kind of personality disorder…but that only makes him more lovable somehow (a cute narcissist – who knew that was possible?). 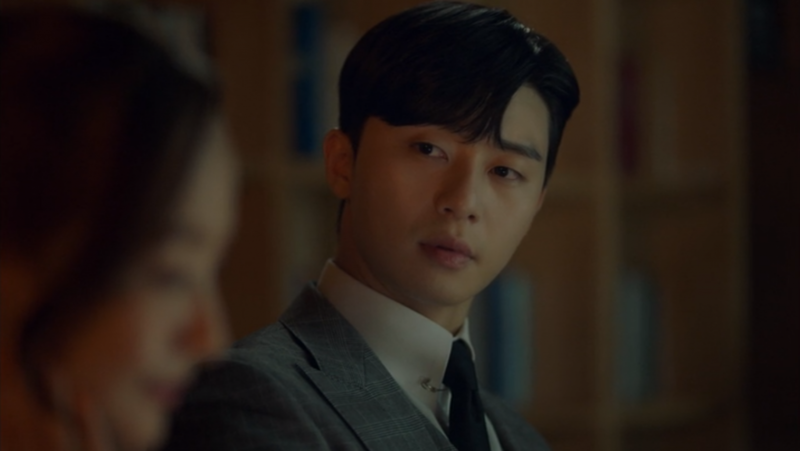 Park Seo-joon plays the part to perfection. Kim Mi-so (Park Min-young) may be poor and technically unqualified for her job – but she is actually amazingly driven and capable – and it is acknowledged that she is a large part of why Lee Young-joon is so successful. She’s able to handle his ‘unique’ personality very well and confidently pulls him in line when he’s being a bit too ridiculous or thoughtless. And, of course, she’s absolutely freaking stunning! I did feel like this aspect of her was pushed as her main good quality a little too much though. There were a couple of conversations that conjured up memories of the below scene in The Swan Princess, except no one seems bothered by it in What’s Wrong With Secretary Kim?. The plot is full of the usual K-drama scenes and moments that people love to mock, but they’re somehow delivered a little more convincingly than other dramas I’ve seen recently and, let’s be honest, they’re a major part of the charm of a K-drama. 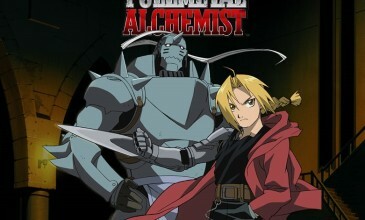 There is a very compelling mystery which is slowly uncovered over the first 12 episodes or so. It’s very well done and had me completely stumped as to how all the clues would ultimately fit together right until the reveal (which is pretty rare in these series). Unfortunately once that main plot mystery had been completely revealed, the series did lose my interest and it was hard to make myself watch the last four episodes. Not to say that I didn’t enjoy the last four episodes! They had their funny moments and ultimately wrapped all the loose ends up quite nicely. But the real hook of the show – the thing that was keeping me up late into the night watching episode after episode – was over by episode 12. There was some excellent comedy throughout the series (and devastatingly serious/depressing content as well, of course). 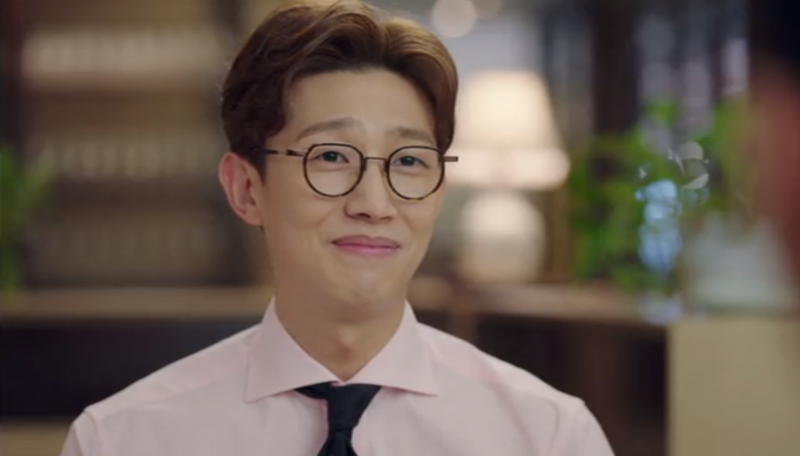 A lot of the best lol-worthy moments were delivered by Park Yoo-sik (Kang Ki-young), Young-joon’s best friend and Director of the Yumteon group. Hopeless romantic and life advice-giver, Yoo-sik’s, need for an emotional connection with the very closed-off Young-joon, makes for countless hilarious moments. It helps that he’s also SUPER CUTE. Our leading lady is also very versatile and delivers some super ridiculous comedic scenes with apparent ease! Lee Sung-yeon (Lee Yae-hwan) – I really can’t tell you anything about this guy, other than he’s very good-looking (obviously) and probably the most complex character (leading man, aside) in the series. 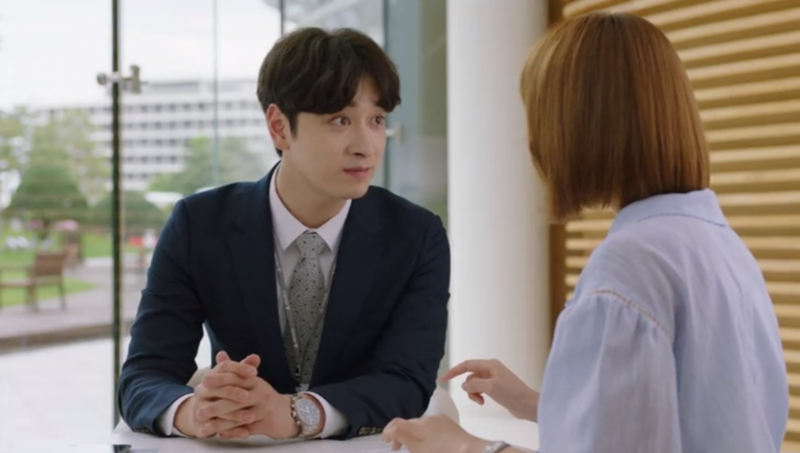 Go Gwi-nam (Hwang Chan-sung) – He’s a variety of character I haven’t encountered before in a K-drama. Variations on the theme, but nothing quite like him. He’s very frustrating, but eventually earns his place as one of my favourite characters. Kim Ji-a (Pyo Ye-jin) – She is the embodiment of loyalty. I really admire her. She doesn’t seem to have a nasty/self-serving bone in her body. Bong Se-ra (Hwang Bo-ra) – She has a super cute face, but is a rather absurd character. Sometimes I really couldn’t stand her any longer. I think she is mainly there to add some cringe-factor and comic relief.